I have written about Sir Thomas Myles (1857-1937) in my monthly column in two diocesan magazines in 1914, and that year I also spoke to the Kilcoole Heritage Group, Co Wicklow, about the role of this forgotten surgeon in the Kilcoole gunrunning. In 1914, he used his own private yacht Chotah in an episode that paralleled the Howth gunrunning involving the Asgard. 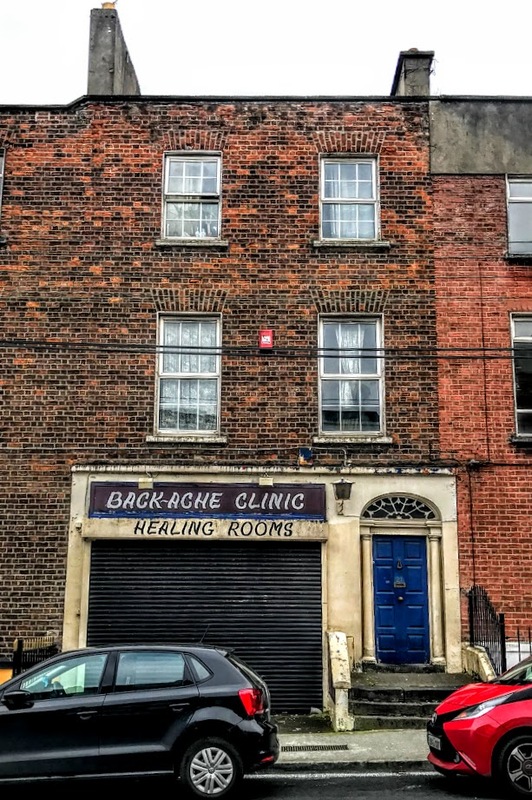 Myles was born over the family shop in Catherine Street, Limerick, in 1857, and was a leading surgeon of his day and was also an outstanding sports figure politics before he died in Dublin in 1937. He was President of the Royal College of Surgeons in Ireland, was knighted by King Edward VII, at the outbreak of World War I he was commissioned an officer in the Royal Army Medical Corps and appointed an honorary surgeon to King George V in Ireland. During the 1916 Rising, he attended victims of the violence on all sides at the Richmond Hospital. Perhaps Myles has been conveniently forgotten in the narratives of the 1916 Rising because he does not fit easily into the exclusivist definitions of national identity. Sir Thomas Myles was the second child son of the Limerick merchant John Myles and his second wife Prudence Bradshaw. He was born on 20 April 1857 at 13 Catherine Street, which was later numbered 15 Catherine Street. But which house was this? The street numbers have changed in more than a century and a half, and the numbers 13 and 15 were later used for the vicarage and female orphanage attached to Trinity Episcopal Church in the 19th century. So, I was sure Thomas Myles could not have been born at either of these addresses. 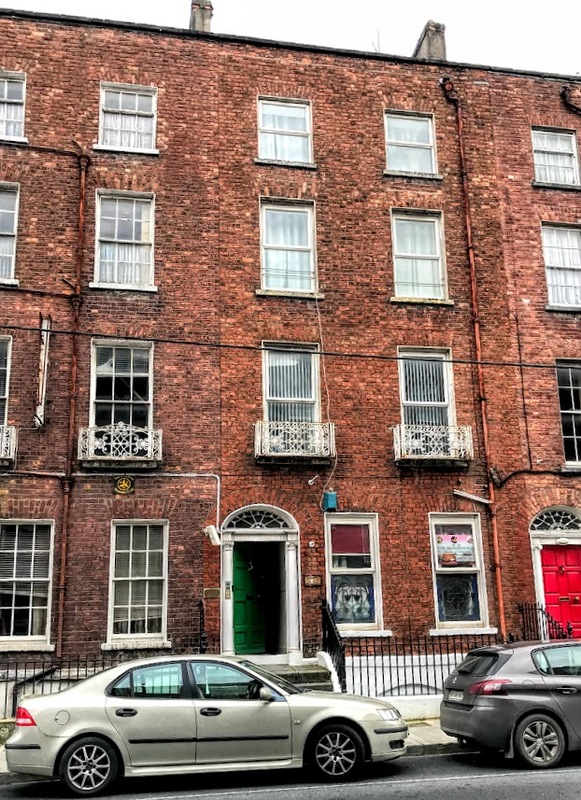 Later, in the mid-1860s, John Myles moved with his family to 13 Upper Mallow Street. As I walked through Limerick’s city centre yesterday [2 November 2017], I went in search of these houses, the house where Thomas Myles was born, and the house that was his family home throughout his teens before he went to Trinity College Dublin as an undergraduate. The numbers were confusing, and there are no civic or historical plaques on either street to mark these houses, despite the significant role Thomas Myles has played in national history. So, on Thursday morning I turned to the work of the local historian, Paddy Waldron, who attended my lecture in Kilcoole three years ago marking the centenary of the Kilcoole gunrunning. Paddy is distantly connected by marriage to the Myles family and also has an interest in the genealogical stories of the Comerford families in Co Clare. He has traced how the houses on Catherine Street were renumbered in the mid-19th century, and identifies No 13 with No 21 Catherine Street. The house looks neglected today, and is close to the corner with Cecil Street. 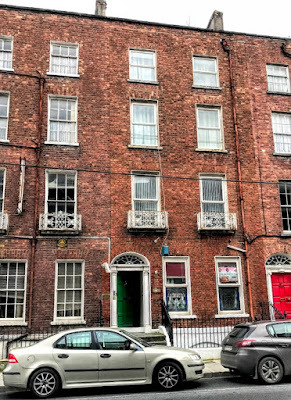 The Myles family later moved around the corner from Trinity Episcopal Church to No 13 Upper Mallow Street. 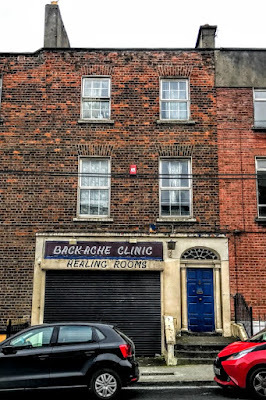 Despite its present use, it is possible to image how this house was once one of the elegant late Georgian townhouses that formed a terrace of largely uniform houses. They share a parapet height and their windows are aligned. No 13 still has its original doorcase, balconettes and coach house. In recent narratives, the role of Sir Thomas Myles has been overshadowed by other Limerick members of the Church of Ireland, including Conor O’Brien, his sister Kitty O’Brien and their cousin Mary Spring-Rice from Mount Trenchard. All three were great-grandchildren of Thomas Spring-Rice (1790-1866), 1st Baron Monteagle, remembered in a public monument in the People’s Park in Limerick. But surely Sir Thomas Myles is worthy of a plaque in the city of his birth.